Are you a graphic designer looking for a platform where you could show and sell your work? Or perhaps you're a marketer in need of quality graphic design and other creative services? Graphic design marketplaces are platforms which specialize in showcasing the work of talented graphic designers and connecting creatives with new clients. If you're on the lookout for a creative prodigy for your next project, chances are you'll find them on one of such marketplaces. Here's a guide to 15 best graphic design marketplaces on the web. GraphicRiver is the best marketplace for premium design templates and stock graphics that can be used in designing fonts, logos, prints, websites, business cards or icons. All the assets included on the platform are manually reviewed by GraphicRiver's team, so you can be sure that the hand-picked content featured on the website is of highest quality and meets critical functionality standards. Every week, GraphicRiver publishes a special Featured collection where users can admire the best logos, fonts, icons and other graphic elements that have caught the eye of the team. With 100,000 contributors and an active customer base of 1.4 million people in 140 countries, Shutterstock is a recognized stock photography agency that provides businesses and individuals with quality visual materials ranging from photographs and illustrations to vectors, videos and even music. Founded in 2003, Shutterstock manages an immense library of over 90 million royalty-free photos, illustrations and vector graphics. You can choose between different plans which get you extended copyright licenses, available for both individuals and businesses. This crowdsource marketplace for designers allows buyer to launch a design project with a specific budget and detailed design brief. The project then lands among the community of designers on Hatchwise. Contest holders can review among hundreds of custom-made designs and pick the one they like best. It's possible to request changes or end the contest at any time. Once you pick a winner, all that's left is paying the designer who created it and you'll get the complete artwork in no time. This graphic design marketplace connects creatives with business in need of quality design. Companies can outsource or crowdsource projects to thousands of designers around the world. Got a creative project in mind? Post a brief where you explain your vision and DesignCrowd will send plenty of designs directly to your inbox. You can then share selected designs with friends to receive feedback and get in touch with their creators to suggest edits. Once you spot a design that matches your vision perfectly, you can purchase it and get the complete artwork together with a copyright transfer and other industry standard files. This ecommerce site specializes in selling art – including plenty of fantastic digital art – to buyers located all over the world. Art Web works on a no-commission basis. The platform attracts a lively community of artists and creatives who make the most out of this place to share their work and network with other industry professionals. If you're looking for unique digital art pieces, this is a spot for you. Designhill is an online platform that allows buyers who need great graphic design to run design contests and get plenty of interesting submissions in a short time. It doesn't matter whether you're looking for someone to design a logo or a website for you – all you need to do is post a brief and you'll get dozens of graphic designs submitted to your contest. You can then gather feedback in a poll, or share the file with friends. Designhill allows customers to ask for unlimited number of revisions too. Pick the winner, and you'll instantly get complete ownership of all the design files. This site is great if you're looking for some interesting promotional visuals ranging from art prints to iPhone cases. Since the platform charges a small percentage of what designers sell, it has become a great space for creatives who want to have their work featured in different products. Make sure to check out Society 6's blog – every week they publish a Six Pack post featuring the best six works by artists who belong to their lively community. Founded in 2009, Fiverr is easily the largest marketplace for creative and professional services on the web. It's based on selling micro-jobs called gigs provided by freelancers, as well as small businesses and mid-seized companies. These freelance contractors offer their highly diversified services at $5 and up apiece. At the moment, Fiverr lists more than 3 million services ranging from $5 to $500. Whether you're searching for someone who would design you an amazing logo or write you a piece of quality copy, Fiverr is a great pick – as long as you know what type of gig you'd like to order. Typography is all the rage right now and most marketers realize that a unique font can easily take a brand to the next level. On My Fonts you can buy and download different fonts for your marketing materials. If you lack inspiration, browse through the staff picks or follow a designer to check their work. Be sure to check out their special offers as well – that's where you can find a range of promotions for amazing typefaces. Bestsellers is a good category to start your quest – seeing which typefaces attract most buyers, you'll get an idea about current typography and graphic design trends and find a font that matches your brand. This is a classic platform for creatives who want to sell their work on the web. Launched in 2004, Big Cartel is easily one of the largest such online platforms. What renders Big Cartel different from its competitors is that it allows creatives to build their own stores where they can customize every single element to create a unique feel. If you're a graphic designer on the lookout for a place where you could share and sell your work, Big Cartel is a smart choice. You'll gain access to their professional market analysis tools to help you choose how and where you promote your work. The plans start at free to $29.99 a month. With the latter you get full support and facilities from Big Cartel. This Australian marketplace is a paradise for those looking for unique designs from independent artists all over the world. On Redbubble you can get an on-demand design from over 400 thousand independent artists who are part of the community. Artists regulate their own pricing and decide which products may display the reproductions of their images. If you lack inspiration, browse through Redbubble's incredibly varied Feed or have a look at their fantastic themed collections of graphics. If you need an attention-grabbing name for your startup or an eye-catching logo, CrowdSpring is a top pick. This smart marketplace for logos, graphic design and naming allows to launch a project where dozens of talented creatives participate to bring you more than a hundred of custom designs on average. How does it work? Start a project by picking a category, naming your price and filling in all the details. After a short while you should start receiving the first ideas. You can then collaborate with creatives and give them feedback for revisions. If you're not interested in engaging with a crowd of designers, CrowdSpring offers a comfortable one-on-one interaction model. This smart platform helps businesses and individuals to find talented freelance designers ready to realize your vision. Once you create your design brief, you'll be directed to 99designs's design packages. You can choose between Bronze, Silver, Gold and Platinum to find one that matches your needs. Now you're ready to launch your contest. 99designs has a community counting more than a million of active graphic designers located all over the world. Even if only a fraction responds to your brief, you'll be presented with plenty of design options to choose from. You can give feedback to designers in different ways – by leaving them a comment, rating their design or sending them a private message. After 7 days, you should be ready to choose the wining design. You'll get a full design copyright and instantly download the product to work for you. Launched in 2006, Behance is one of the most popular graphic design marketplaces on the web. Creative professionals can build and share their portfolios for free to customers located in every corner of the planet. Every month, Behance's global clientèle enjoys the closing of 5,908,502 projects. If you'd like to hire a designer for your project, this is the place where you find a most versatile compilation of talent. From cartooning and drawing to film, illustrations and animation, Behance knows no bounds when it comes to creativity. “Creative Market is an online marketplace for community-generated design assets. The company sells graphics, WordPress themes, stock photography, and other digital goods for use by web creatives. Creative Market has over one million users and more than 250,000 purchasable items.” — Source: Wikipedia. 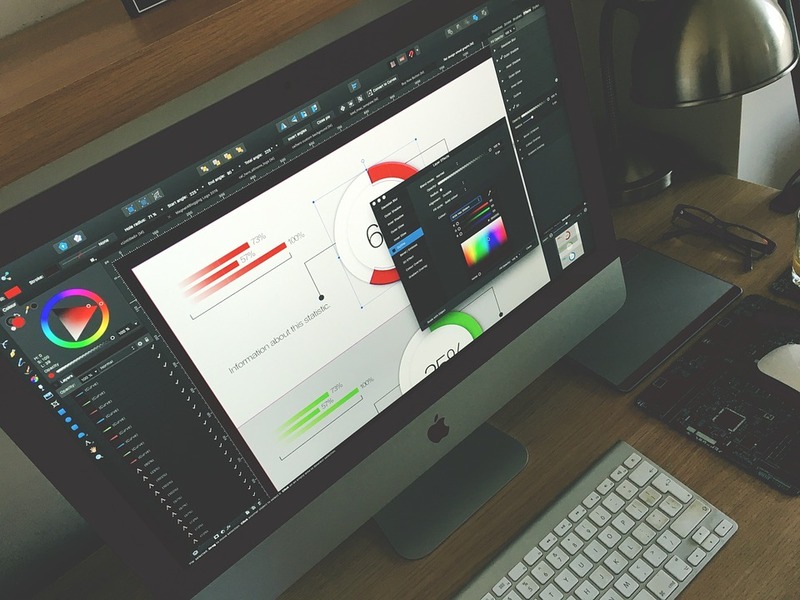 Graphic design marketplaces are more than just online design shops. They attract particular communities of graphic designers and develop different models for facilitating interactions between customers and providers. While some allow anyone to post their work, others are based on hand-picked collections of artwork that can be purchased and used in marketing contexts. Check out these marketplaces and you're bound to find designs that suit your business needs and perfectly match your brand identity. Author: Elizabeth Lee is an avid and experienced content creator from Sydney, Australia. Elizabeth is also a part of the team behind PACK & SEND and with her background in marketing and deep interest in social media, she is often found writing for blogs and websites around the world. Thanks for pointing it out Sumon.